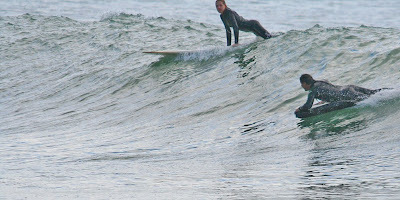 "Try to Get Out Into Some Head High or Bigger Waves"
Tell me why I was looking right when that is clearly a left? My third session on the mat came after an hour and a half on the surfboard. It's becoming clear to me now that matting is a hell of a good full body workout. You've got to have some gas in the tank in order to get the most out of a mat session. I'd say my tank was only half full when I went out today. And yes, the waves, the set waves, were head high. Paddling out was, in a word, brutal. I had no idea how to get to the outside with all of these head high waves coming at me. I couldn't kick hard enough to get past them before they broke. I couldn't really duck dive them. All I could do was try to dive under them while leaving my arm outstretched in an attempt to let the mat pass over the waves. 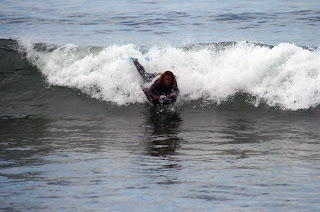 When I did get outside, I was tired, almost too tired to try for waves. This session presented me with more variables than I could process at one time. I'd put less air in the mat this time. That in itself presented me with challenges I hadn't anticipated. It was harder to stay on the mat with less air. 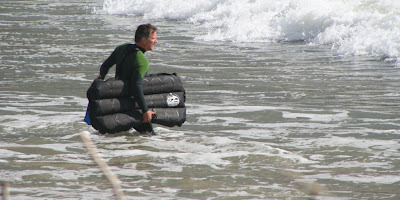 And as I'd get into a wave, the front of the mat would curl under before I pulled it up to start the ride. It was all so very confusing. I can also say it was also very enjoyable. Now, help me here. Somebody say something about paddling out. Say anything. I don't have anyone I mat with and I'm learning this on my own. What are some of the techniques you use to paddle out? Prana, I'm officially calling you out. I need a session with you, please. I'm willing to come down to where you are. It's time for some coaching. I'm definitely a visual learner. I need to see someone who knows what he's doing. I nominate you. Marc B ... The Flying Dutchman! The new mats on surfmatters look great! If they work out I will be there to place an order. The blue ones look very nice. This picture is me, two weeks ago on my home spot in The Netherlands, called Scheveningen. Scheveningen is the "Dutch California," and the most popular spot. The concentration of surfers is pretty big in Scheveningen. On nice days there are like 50 to 80 surfers in the water! I was determined to get on the mat today, so much so that I left the surfboard at home. After the first session, I went on a hunt for matting videos on YouTube. KenDog brings it on those videos. I was finally able to see how one gets the mat into a wave. I've also had a chance to see Pranaglider in the water. For all intents and purposes, they are my teachers. I think I'm beginning to get the hang of it. Question: Once you're on the wave, do you keep kicking in order to get to or stay with the shoulder? Or is it all in the angle of the mat? How do you steer this thing?!?! 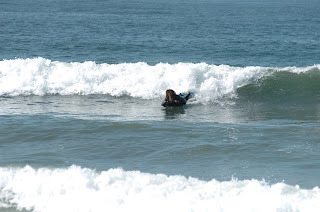 The pictures below are a sequence of what was, I guess, my best wave. 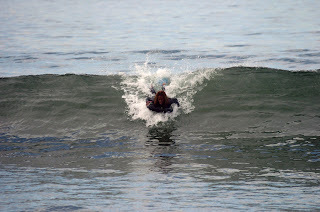 Of course, since I was at the home break, it was a closeout. Feel free to critique my form since I really have no idea what I'm doing. I've been out of material since last summer, when I made 40 mats before we moved to Washington state. That's the inventory we've been selling since we've been here. We're down to 2 XL's as of today. Since I knew we would need more material by Spring, and since I've been stuck in the snow and rain for the last 3 months, I've had time to do some material research. 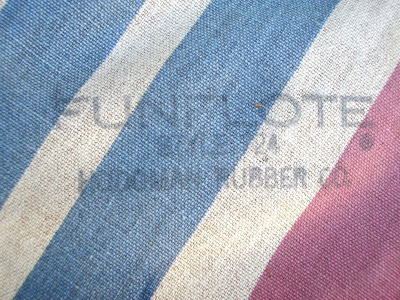 The fabric company we've been using since 1984 has been tremendous. But, their prices doubled in 2007, doubled again in 2008, and we're looking at another increase this year. Plus, the minimum quantity has gone up. So, that has given me the impetus to look around for alternatives more aggressively. There aren't too many places that make the quality material needed to make mats that are durable and perform well. I did come across a fabric manufacturer who had a very complete sample catalog, and they've been willing to work with us. (Meaning, they know we're small time, but are still interested in our business.) And their prices are low enough to allow us to hold our current retail cost ($250 plus S/H) for at least a year ... and hopefully much longer. The down side of any new material is that it's an unknown in terms of performance and durability. The spec sheets of this new stuff shows a tear strength and seam adhesion of approximately 85% to 90% of our current material. That may be acceptable, but we won't know until we get some serious water time in on the 4 prototypes I finished earlier this afternoon. One thing is for sure ... there is no way any 4GF mats will go out to customers until we're reasonably certain that the fabric will hold up for at least a couple years of hard use. I'm sending the new prototypes off to George G. in tomorrow's mail. He gets in the water every day, and has a deep working knowledge of the current state of the art, mat-wise. So, there's no reason not to turn over the field testing to him and his buddies. The Black Mat is made of an extremely heavy nylon material on the deck that is as coarse, or coarser, than a new Converse. When I saw a small sample of this fabric, I thought it was too stiff to make a high performance mat. But, the texture was plenty grippy enough to use with no non-skid. Even though this black material is much more expensive per yard, there would be none of the labor and expense normally associated with any of the non-skids currently being used. (Rubber Grit, Vulkem, Diamond Back patches, etc.) So, it might pay for itself. This fabric is a complete unknown, and it will take at least a month to get it broken in and sorted out. I love this stuff on the deck! The orange bottom fabric is a rip-stop similar in weight to what we use now. The White Mat is made of material that weighs out the same as what we have now, but it's weaker when you test it to destruction. I'm not optimistic that this stuff will work. So, what I did with this material sample is make a shape that George has been asking for since last summer. It's a stock Fatty, lengthened 2", with a Velo-style arc tail with sharp corners in the rear. I made a Standard 4GF with an arc tail for him last year. He liked it at times, but thought it rode "too short" at others. Hence, the 2" increase in length. I hope he gets enough waves to get a feel for the design change before it pops. It feels pretty flimsy. The forward black line is the stock Fatty tail, while the rear line is the welded-up Arc tail 2" further back. The Orange Mat is made of a rip-stop with is supposed to be roughly same weight as the material we use now, but it weighs out much lighter. It has a crisp feel to it. There isn't as much stretch to the fabric, since it has the rip-stop threads running through it. 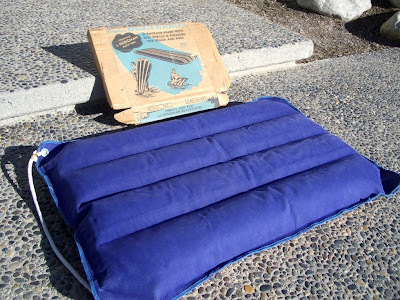 This mat seems like it should be stronger since it's made of rip-stop, but it might actually be weaker over time since there isn't as much "give" to it, and most of the loading will go directly to the seams. It feels kind of toy-like. But, that may be the orange color. Again, who knows until we try it. The Blue Mat is made of 100 x 70 denier fabric, with a twill weave. Our current fabric is a 70 x 70 denier taffeta. I didn't like this stuff when I saw a small sample, but I got a short roll of it anyway. After I was able to see and handle the fabric in mat-sized lengths, I had a change of heart. It's heavier, weight wise, but, as is well known in the fabric world, twill weave is more pliable than a taffeta weave. The twill weave seems to absorb more water than the taffeta weave. I wetted out one pontoon to show how much water it appears to draw in. The advantage of the 100 x 70 denier twill is that it feels as soft or softer than the lighter taffeta, but weighs more, especially wet. 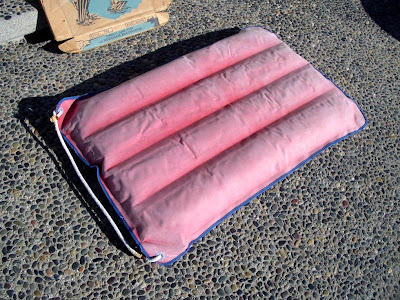 It might help prevent mats from blowing away in heavy winds, and it might ride smoother on bumpy waves as well. I'm the most optimistic about the Blue Twill Mat. The material has a nice, substantial feel to it, along with a soft pliability factor. I'm getting another short roll of the Blue Twill in a few weeks. I want to make a mat with the coarse Black Canvas stuff on top and the Blue Twill on the bottom. (I didn't have enough Blue Twill to do that this time around.) That might be a killer app for those two fabrics. I really want the coarse Black Canvas to work on the deck! 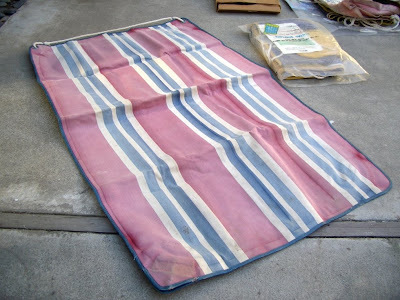 I covered the top of a Standard 4GF with cotton canvas fabric a few years ago, and the extreme stiffness (due to the canvas/nylon fabric deck lamination) ruined the performance completely, even after an entire summer of break-in. But the feel of having a 100% canvas deck was just great. I kept going out on it just because it was so much fun to be on. So, fingers crossed that the black stuff breaks in over time. It's stiff, but no where near as stiff as an old canvas mat ... it might just work. The colors of these mats are the stock colors of these particular fabrics. If I order larger quantities, then we can get anything in black. I hate the orange and loathe the white ... but the electric blue color of the 100 x 70 twill is neat. It looks better in person than it does in the pictures. The other thing is weight. I went ahead and weighed these four mats and a stock Fatty, all with no non-skid. I also weighed them wetted out, so I could get an idea of the water absorption the Blue Twill and Black Canvas in comparison to the taffeta and rip-stop. The Orange Rip-Stop is much lighter than the spec sheet claimed, the Blue Twill soaked up more water than the taffeta, but not way-more, and the Black "Canvas" was heavy to start with, and absorbed a lot of water as well. 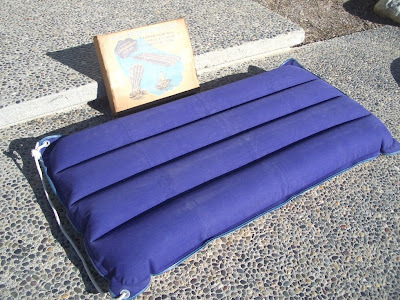 Of course, there would be no non-skid added to the Black Canvas deck mat, so its dry and wet weights are "all-up," while the other four mats will have a few ounces added by the non-skid. But again, these numbers mean nothing. It's just a test to see if you are as far gone into mat geekdom as me. If you've read this far, GET HELP! Theses two shots of George, taken 40 years apart, tell an interesting story. In the top shot he’s riding a Stripes Down Hodgeman in 1969 -- the best surf mat of that era, but a slug by today’s standards -- in virtually perfect, uncrowded surf. 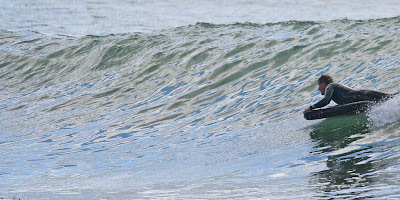 In the lower shot, he’s riding a state-of-the-art nylon mat a few days ago in what amounts to a slop wave on a slop day at a slop spot. I had the same reaction as Dale S. when I first saw those shots of George taken a few days back at Wategoes. It seemed like a shame. Here’s one of the 10 best surfers from the past 100 years, and he isn’t able to express his art in waves that are anywhere near the quality that were once commonplace for him. The intensity of the local crowds have overwhelmed a man who is both in his mid 60’s, and who grew up riding excellent, uncrowded surf. 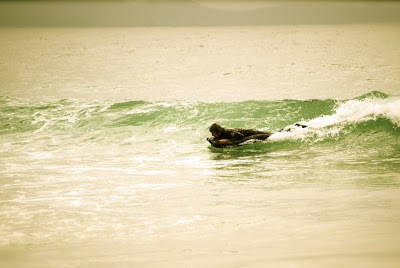 It just isn’t in the cards for him to crack Lennox with 85 guys out in hopes of snagging a few good waves. Even if he succeeded, which he surely would, it wouldn’t be a meaningful experience for him. So, in many ways, George is being true to what has always motivated him to surf. And that’s why I have so much respect for him as a person. Too many times I’ve pulled up to some out of the way break with him on a marginal day, waited 15 minutes for a rideable wave to barely break, then watched him tear off his civvies, pull on a wetsuit and run into the water. 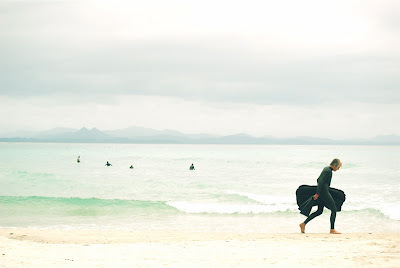 That’s the real reason why George Greenough, and anyone like him, is a great surfer. 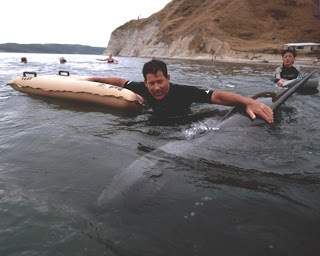 Whatever perfect surf he once rode -- and the incredible equipment he developed to ride it -- were a distant second to the experience of simply being in the ocean. The fact that he had these experiences growing up surfing in an idyllic place like Santa Barbara in the 50’s is just a footnote. “Diminishing returns” describes the circumstance most of us are dealing with in terms of surfing and in life…especially if we’re over 50. But it’s all relative. I’m sitting up here in Walla Walla, Washington, of all places, caring for my mother who’s about to turn 91. My wife Gloria and I are watching a woman in dramatic decline. A woman who as recently as 3 years ago was taking care of her neighbors’ homes while they were away. It’s killing both Gloria and I to see her fade mentally and physically. And it’s killing me to do it in a place 5 hours from the ocean. I'd give anything to paddle out somewhere and catch a wave...any wave. But every single day here carries responsibility and has meaning. The next wave I ride, however mediocre, will probably the best wave of my life. The law of diminishing returns will be reversed, if only for a day. A few weeks back George called and ordered an XL 4Gf mat. For himself. I was like, "Dude! What do you want with an XL? You weigh, like, 135 pounds!" So off an XL went to him. He called again the other day to say he's gotten his mat. That's the last I've heard so far. No word yet on how it works for him. That mat sure looks big on George!!! Hello to everyone, here's some photos of a G.Greenough super fan work (of course when it's flat.....), reproduction of george greenough hodgman mat, Udt's, one of his spoon (Velo) and his lovely boat (Crystal Voyager/innermost limits of pure fun movies), all that in a display case. thanks PG, keep up the good work ! 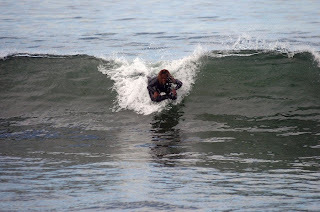 Santa Barbara Surfing Dot Com ran some shots of the estimable Kenny Hughes out at Rincon last weekend on a mat...along with a positive editorial observation on the socially friendly nature of mats. The photos were taken by David Powdrell. 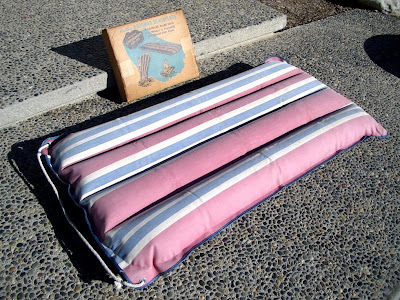 Here's some pics of the Hodgman kiddie mat I mentioned earlier. I layed the original box out on top...dimensions read: 20" x 36". Original pull rope still intact! Amazingly, it's still holding air like it's big brother. Bottom side is pretty bleached out but, probably from some fun days in the sun. 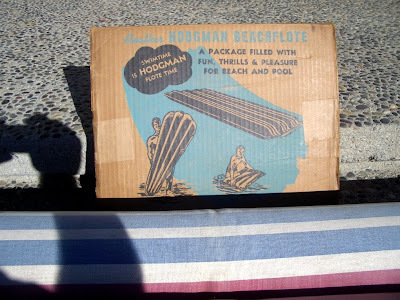 I thought I'd show you that striped Hodgman that came with it's original box. Actually, at the time, I'd purchased two ... a kiddie -sized one, and the adult-sized one. Hodgman "Funflote" taken out of box, and layed out flat in the atrium. 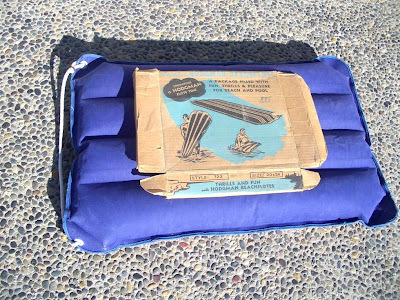 Inflated 3/4 view...still holdin' air after all these years! I'll send the pics of the smaller one next. It's neat that Hodgman even considered making a smaller version for kids. 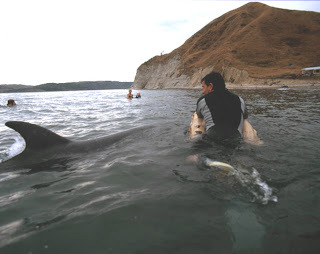 Our Aussie mate Matt Haling took these shots of me on a canvas mat hanging out with Moko the ultra-friendly dolphin.